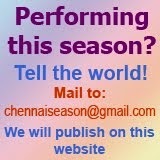 Lec-dem series of The Indian Fine Arts Society for the music festival 2011 will be held from Dec. 18, 2011 to Dec. 31, 2011. 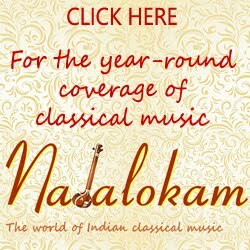 10.30 a.m. - 'Aanayyaa' by Dr.Raama Kowsalya. Vocal support by Madhuvanthi Badri Rajagopal. 10.30 a.m. - Lecture Demonstration on 'Time tested concert techniques' by Neyveli Santhanagopalan with M.A.Sundareswaran - Violin, Mannarkoil J Balaji - Mrudangam. 10.30 a.m. - Lecture Demonstration on 'Banni Bai and her style of Harikatha' by Prof. Dr.Premeela Gurumurthi. 10.30 a.m. - ' Varaha Purana Kirthanaigal' by P.T.Seshadri.